What if you could THRIVE in your leadership instead of just SURVIVE it? What if you could swap your work frustration for fulfillment and begin flourishing instead of floundering? What if you could lead with greater character, competence, clarity and confidence, fueled by a deep sense of divine mission for your leadership both at home and at work? Can you imagine what kind of impact such a leadership would have on your community and world? 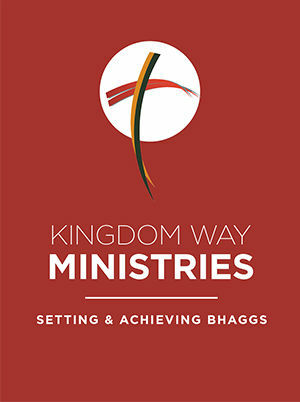 With the Kingdom Leadership Council series, now, such a vision can become your reality! Join us as we delve into what it means to lead with no Sunday to Monday faith-work gap, joining forces with the Lord in your business, church, non-profit, or Monday workplace/ministry arena. You will embark on an accelerated growth track of spiritual, personal, and professional leadership transformation that will forever change the culture in your spheres of influence and advance the kingdom of God. What if you could THRIVE in your leadership instead of just SURVIVE it? What if you could swap your work frustration for fulfillment and begin flourishing instead of floundering? What if you could lead with greater character, competence, clarity and confidence, fueled by a deeper sense of divine mission for your leadership both at home and at work? Can you imagine what kind of impact such a leadership would have on your community and world? With the Kingdom Leadership Council series now, such a vision can become your reality.